First off, we need to look at why would a business use digital marketing as a platform to promote their company? Leveraging tools like Websites, SEO Optimization, Social Media, Google Ads, Email Marketing and more! Digital marketing has evened the playing field; even just a few years ago a small business could never compete with big companies that are on TV, Radio, Magazines, Newspaper etc. Small Business just didn’t have the budget. Now Small Businesses can start a social media account for free and build a basic website for next to nothing and they can compete globally. Now is the time to really leverage the digital world because I feel it won’t be long before these big companies start to push their big media budgets into these platforms. This will make the costs to advertise sky rocket as there is more competition in these spaces. Regardless, the free tools when used correctly will add tons of value to your business. How consumers research, purchase, and judge a business is changing drastically to show you why digital marketing is so important you need to see the statistics. Those are some wild statistics! If you are a small business owner and digital marketing is currently not a big priority or something you don’t take seriously, I hope this persuades you into diving head first into capturing the massive opportunities digital marketing holds for you. 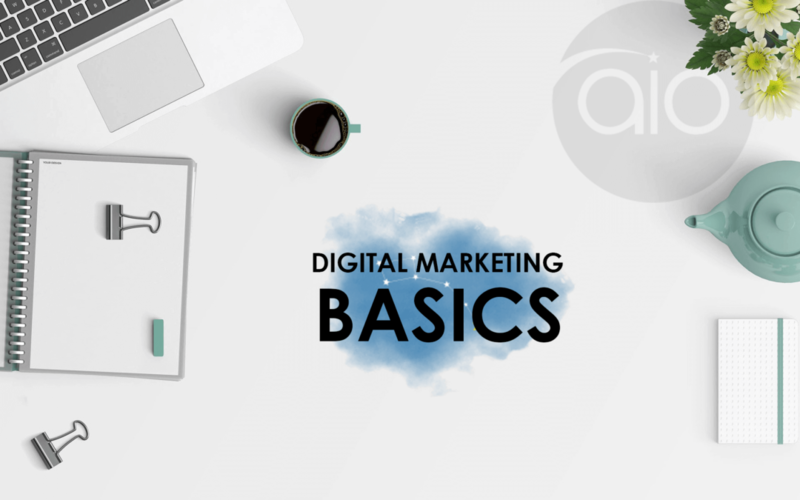 In order to be successful in the digital marketing space, you must understand the fundamentals. Digital marketing doesn’t need to be complicated, so if you are feeling a bit lost, always remember that you are communicating to real people and should be treated as if they are in your store speaking with you face to face. Before diving into the digital marketing platforms and tools, we need to understand the key purpose of digital marketing. You want to build trust and educate your potential customers and throw in a few great offers. Yes, it’s that simple! Your promoting your business online in hopes to build trust with your audience and this will result in a new customer. We must understand that WE, the consumer, judge what we see. If we have a poorly designed website, or social posts with blurry graphics, or the fonts on each post is different online, visitors will assume this business might be of poor quality. I cannot stress enough the importance that you dress your business to impress. It’s the same concept as going to an interview dressed up and clean because we want to make a great first impression, the same goes for your business online. We see a lot of companies that don’t know what to say so they say just about anything. Your message and how you communicate it needs to be tight and consistent across all the platforms. Great offers, great images, great videos, and great information will boost the credibility of your business and consumers will come to trust you! Your message needs to revolve around the customer and pains they have. For example, All In One Digital – we grow your bottom line by 10% in 90 days. What problem does that message solve? It could solve cash flow problems, business growth issues, business performance pains, and this message will appeal to the potential customers that are feeling the pains described above. The message doesn’t necessary say we build the best websites, or we are business coaches and consultants. The customer only wants to know how we can help them. Your message should have a big claim, “we do “X” for you in “X” time. You save “X” dollars when using “X” product.” Of course, you need to back up the claim with action! Other things to consider is the content you’re pushing out. If it’s a post, blog, video or an email your message; look and feel should be very consistent and should change substantially. What pains do my customers experience? How do we solve those pains? What makes us different than the other options on the market? Is my brand message and image consistent? If you need help crafting a great message reach out and we will be happy to give you some advice! Load time: Your load time needs to be in a 2-3 second range. You can use Google Developers Speed Test to analyze the speed of your website for both mobile and desktop. If your website doesn’t load quickly there is a high chance that visitors will get frustrated and leave your site to check out a competitors. Mobile friendly: 48% of online searches are done from the phone. Lot’s of companies don’t think about their website needing to function well on mobile devices. You should always design your website with a mobile first mentality. Design: Your website needs to look great! If your website doesn’t look great you will lose credibility regardless if you are the most qualified person or company to do the job! Easy to navigate: Have you ever been on a website with too many options and you can’t find what you are looking for? You need to keep the website easy to navigate; simple is key. Don’t over do it with tons of drop-downs on your menu. Ensure the most important information hits the user as soon as they pull up the website. The less decisions a visitor has to make, the easier it is to convert the visitor into considering your business. I want to explain search engines vs social media before you choose one or the other. We recommend you look at both but if your crunched for time, you must understand the basics. Search engines like Google is a great place to market your business you have two key options when looking at Search as a platform. SEO: This is crucial as this is where you rank on a search result. For example, if my customer searched “Websites Calgary” and I ranked 20th that means I am the 20th search result. Companies that are in the top 5 have a much higher chance of capturing that traffic. The higher you show up, the better exposure you will have and ultimately will lead to more clicks and leads. Your website and blog will be the biggest factor in determining your SEO ranking. Google is trying to organize the world’s information so depending on what your customers are searching for will determine how you set your website up so Google knows what you do and when to show your business. There are a lot of components within this to ensure a good result. The benefits of going this route is over time, as you fight for top rankings, you will see a huge influx in visitors. The cons to this are it takes a lot of time and energy, but there is an alternative. Google AdWords: Google AdWords allows you to put advertisements above SEO search results so you can pay for the exposure. We have had great results with leveraging Google Ads. Google Ads work pay-per-click model which means as people click your ads you get charged. You can set your bid limit, for example, I want to place an add for web design when people search “Websites Calgary.” I can set a bid of $3.00 per click so if there is someone bidding at $4.00, they would get the ad spot and I would not. If someone else is bidding $2.00 I would get the ad spot and they would not. People use “search” when they are looking for something. If they have a problem, they’re going to Google to solve it. Social media is a place to connect, talk, and share ideas. You can really target your ideal audience on social media but if you find it hard to create content Google AdWords might be a great place to start. The social platforms like Facebook, LinkedIn, Instagram, Snapchat, YouTube are communication platforms. We like to think about it as your own TV channel or radio station. You can build an audience and communicate with your customers and prospects daily! It’s important to understand some of the fundamental differences between the main platforms. Facebook: You can target things like interests, age, behavior, relationship status, income and more. From an advertising point of view Facebook is one of the most powerful tools. We recommend using Facebook as a platform if your audience is between the ages of 40 – 65+. LinkedIn: LinkedIn also has some great targeting options we recommend using linked in for those business 2 business professionals. Instagram & Snapchat: This where the younger generations hang out, usually 30 years old and younger will be found on Snapchat with 20-35 year old’s being on Instagram. Instagram has some targeting options available and has great ties to Facebook. YouTube: YouTube is watched by everyone! They key to a great YouTube channel is content. If this is something you want to explore you must get comfortable on camera and start pumping out the content! YouTube also has some great advertising options. Your success on social media will be determined by the consistency of your postings, I do believe more is better! Be thoughtful about what you put out and understand what your audience responds to. Posting about information, entertainment, offers, and news will keep things interesting. Be yourself and stick with it and you will have great results. Targeted advertisements on these platforms can be very beneficial! You can do lots with a little budget and you should play around with some of the advertising options. If you call into our office, we can give you some free resources that go into more detail about these platforms and how to use them. Digital marketing is about trial and error, your goal is to find out what information your audience considers to be useful and it’s your job to give them more. Building trust through educating, entertaining, and promoting will make your investment worth it! If you can keep to the following steps, you will see some great results for your company. I hope this helps you understand the basics of digital marketing. If you boil things down to the simplest steps, you should always think about the following 4 steps when creating a solid digital marketing plan! My message: Does my message speak to my potential customer? My platform: Is my potential customer on the platform? My Content: Does my content educate, entertain, or promote my business? My Offer: Does my offer add value and stand out?